Find My Workspace lists over 95% of the business centres market in Fetcham. Simply click Request Quote to check pricing for one office, or Add to Basket for multiple offices. This Grade II* Listed Queen Anne building is set in landscaped grounds and dates back to 1705. The main reception area and meeting rooms feature antique furniture and fittings, while the offices have modern, ergonomically designed desks and chairs. 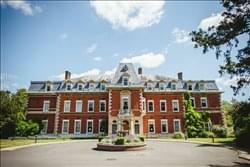 Situated on the first and second floors, all offices enjoy views over the extensive grounds and fountains. The lower ground floor has a fully equipped kitchen, residents’ lounge, shower and secure document storage.